Emed > Inflammation > Are You Inflamed? Everyone has experienced the remarkable phenomenon of acute inflammation – a sprained ankle, splinter, or cut – and as a result have witnessed the affected area turn red, puffy and hot as your immune system rushes to your aid to assess the injury and fight any pathogen that might have entered your body. 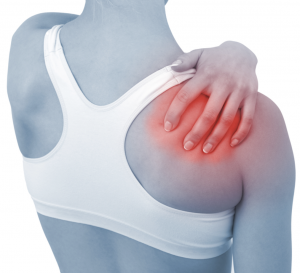 Pain and inflammation should not be chronic, it should go away – but what if it doesn’t? Imagine if you kept injuring yourself in the same location repetitively. The result would be unresolved ongoing inflammation. However, not all inflammation has a visible injury. For example, if there is inflammation in your gut, the only symptom may be some niggling gut issues, yet you cannot ‘see’ the problem. Nevertheless, there may be an inflammatory snowball effect occurring inside. Unresolved inflammation, visible or not, becomes more problematic the longer it keeps interfering with the normal workings of your body, and has been linked to many types of chronic disease such as arthritis and type 2 diabetes. Your Practitioner can help with any ‘niggling’ issues, such as gut or maybe joint discomfort, to avoid the snowball effect occurring.